I wasn’t too sure about having this is the series as I did feature it back in December 2013. But it’s simply to good to ignore…..
Melody Maker said the singer was “gifted with Deborah Harry’s bitchiness, Sinead O’Conner’s rage, Rose Carlotti’s perversity, Harriet Wheeler’s sensitivity and Liz Fraser’s timeless glow and that she was doubly fortunate that the rest of the band were able to do things with their guitars and beatboxes that ‘can set alight the skies then extinguish them at will.” Eight months later, the paper was still so enthused by Blindfold that it placed it at #5 in the Single of the Year rundown, headed only by Unfinished Symphony, Losing My Religion, Higher Than The Sun and Smells Like Teen Spirit. It still sounds powerful and other-worldly some 27 years on and all four tracks could easily have passed off as being the lead track. I don’t think Curve bettered the overall quality of the debut EP with subsequent similar type releases, although individual tracks The Colour Hurts and Fait Accompli are the one I enjoy most of all these days. This is another band I’ll likely turn my attention to at some point during the ICA series and qualify them for the 2020 World Cup, where I’ve no doubt they will draw The Cure in the first round and thus force men into untold agony. But then again, if anyone else out there, male or female, wants to wax lyrically about what Ms Garcia did to their nether regions while they listened to Curve, then please feel free to share your thoughts, graphic or otherwise. It took me a long while to write about Curve over at the old blog, and when I did it was as part of an occasional series on cover versions. It was a post which attracted a fair number of comments and it is fair to say that there’s a few folk out there who remember the band with much fondness and who have never got over their lust for lead singer Toni Halliday. 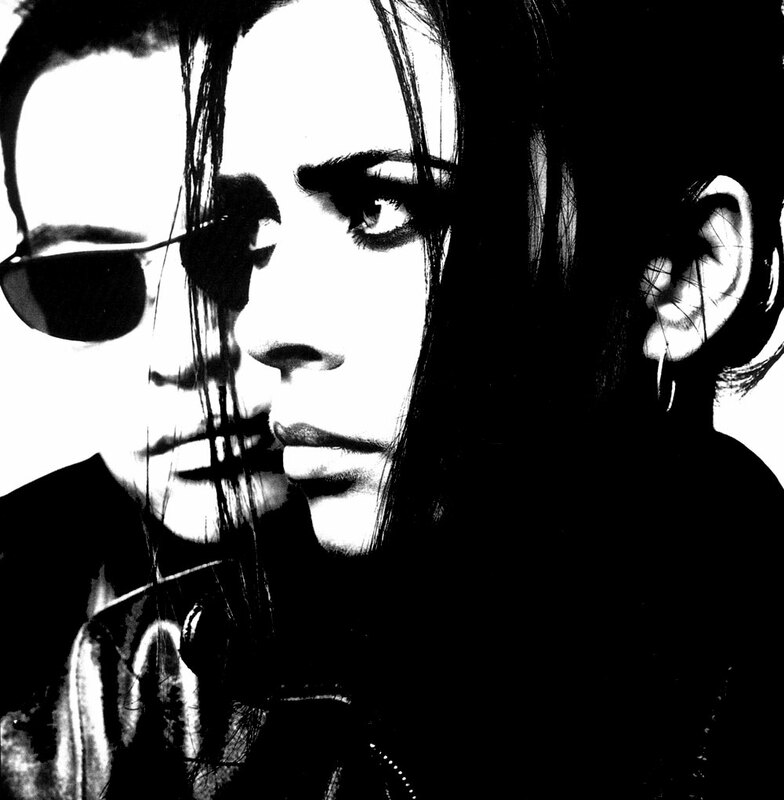 For the uninitiated, Curve, comprising said Ms Halliday and multi-instrumentalist Dean Garcia, came together in Manchester in 1991. At a time when the Madchester sound (Happy Mondays/Stone Roses/James etc) was very much in full flow, Curve were something a bit different. The first few releases were EPs. The music press loved them, and they were championed by John Peel. And yet….they didn’t ever quite turn the critical praise into popular acclaim and really meaningful sales, albeit the debut LP in 1992, Doppelganger, reached Number 11, while the follow-up, Cuckoo, went Top 30. I love an awful lot about Curve, but especially the sound of Toni Halliday’s voice. In many places it reminds me of Elizabeth Fraser, and there’s no doubt that Shirley Manson of Garbage owes a lot to Toni. The first song originally appeared on the NME album Ruby Trax (which got a mention as part of a recent piece on Inspiral Carpets), and is a quite fantastic cover of the disco classic written by Giorgio Moroder and sung by Donna Summer. Evidence, if any were needed that dance music need not be mindless pap. The second song was recorded with Ian Dury himself, as part of a project called Peace Together that raised money for young people in Northern Ireland.